A Toronto police officer kicked a suspect in the face and broke his nose during an arrest, but Ontario's Special Investigations Unit said Wednesday they won't be punished. 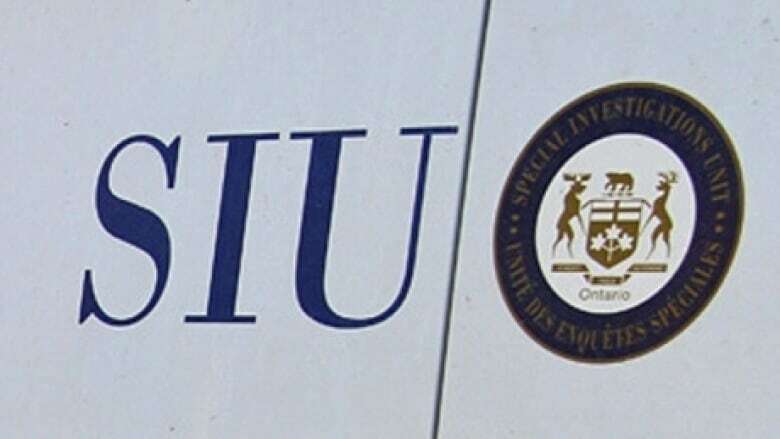 SIU Director Tony Loparco said that's because while he believes a criminal offence was committed, he can't figure out what officer kicked the man, even though investigators spoke with 36 different officers who were at the scene of the incident. Loparco's report said a 24-year-old university student, who was the target of a warrant after allegedly selling drugs to an undercover police officer, was injured after emergency task force and drug squad officers staged a "dynamic entry" at his North York home late at night on Oct. 23, 2017. The SIU said the man was found in a hallway and ordered to the ground. Loparco said that's when he was kicked in the left side of the face by an officer. "Although I have ground to believe that some officer committed a criminal offence, I am unable to identify the specific officer who committed the impugned act," Loparco's report said. "The allegation appears credible and the complainant's injury is otherwise unexplained." The complainant suffered multiple fractures to his nose, hospital records show. Several members of the man's family were present at the time of the arrest, but told the SIU they didn't see the kick because officers were yelling and pointing guns. Loparco added the officers were all dressed in the same uniform and had their faces covered at the time of the incident. The SIU, which investigates all incidents involving death, serious injury or sexual assault involving police, assigned seven investigators to the case.